​The 2018 edition of the ​NBA's series of Christmas Day games was a huge success, per fans all across the world. The slate of five games featured some of the best teams in the league and a few of the contests turned into must-watch outings. 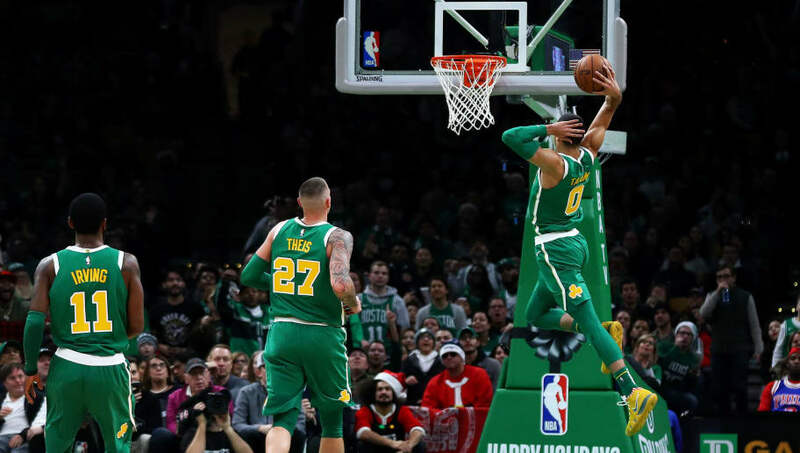 The Christmas games received the highest television rating since 2002, when ESPN and ABC took over Christmas Day coverage of the NBA. They received an 18.7 overnight rating, which is an increase from the 16.0 mark they achieved in 2017. Seems like some people were ready for some new blood! Sorry, Warriors-Cavs. ​​Much of this was likely due to the fact that the Warriors were facing the LeBron James and the Lakers, but the other games were also extremely exciting, including high quality matchups between the Rockets and Thunder, as well as the ​76ers and ​Celtics. NBA fans were eager to spend the holiday with their families while watching some of the top talent across the league square off. Clearly, scheduling exciting matchups on the holiday is proving to be a huge success. Hopefully 2019's edition of the Christmas games will feature as many great matchups as this year's slate had in store for fans. It's hard not to tune in when the fixtures were essentially a sneak peek at the 2018-19 NBA Playoffs.